Submitted by mark on Monday, December 24th, 2018 at 4:34 pm. Visitors to Heritage New Zealand Pouhere Taonga’s properties in Northlandcould be in to win some special prizes in a photo competition running over the holiday break. 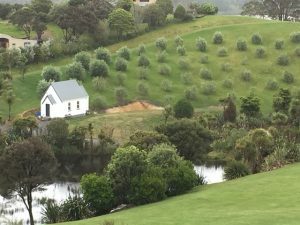 From Boxing Day, Heritage New Zealand will run a ‘Picture Postcards’ series of Facebook posts celebrating some of the cool properties Heritage New Zealand cares for on behalf of all Kiwis. A copy of the book will be up for grabs with each post, and people are encouraged to get their friends to vote for their photo. At the end of the series the best overall photo will win a special prize. 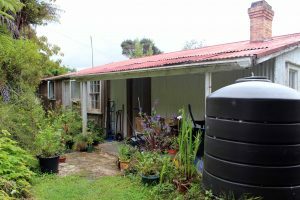 Properties in Northland cared for by Heritage New Zealand Pouhere Taonga are Kemp House / Stone Store, Te Waimate Mission, Pompallier Mission, Clendon House and Mangungu Mission. Submitted by mark on Friday, September 23rd, 2016 at 12:20 pm. 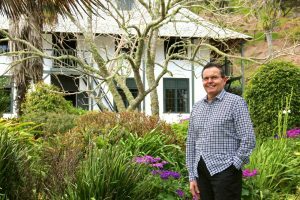 Heritage Northland Inc will hold its Annual General Meeting in Whangarei on September 24. As part of the AGM, guest speaker Wong Leu Sheung will present a talk entitled The Ventnor – Understanding its History and Clarifying your Questions. The SS Ventnor sunk about eight nautical miles off Omapere in the Hokianga Harbour in 1902 after striking a submerged rock off Cape Egmont, claiming 13 lives. The ship was carrying 499 coffins containing the remains of Chinese who had died in New Zealand for reburial in their homeland. The wreck of the SS Ventnor was gazetted as an archaeological site in 2014 by Heritage New Zealand, and recorded in the New Zealand Archaeological Association Site Recording Scheme. Wong Leu Sheung played an active role in advocating for gazettal of the wreck as an archaeological site. The Heritage Northland Inc AGM takes place at the Northland Vintage Car Club Rooms in the grounds of the Kiwi North Museum Heritage Park at Maunu, Whangarei at 1.30pm on September 24. All welcome.